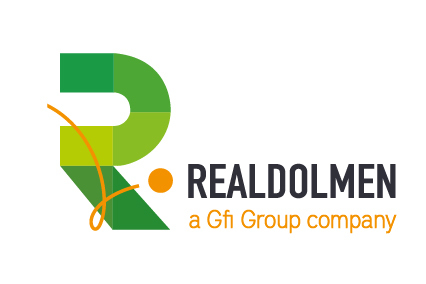 Realdolmen, a GFI Group company, is one of the biggest ICT experts in Belgium. With around 1,600 highly trained employees, we provide services to over 1,000 customers in Benelux. Realdolmen is a no-nonsense, solid, stable and experienced company with great in-house knowledge and expertise, but we also put out employees first: every individual receives the attention they need. ‘Heart for People’ is more than just words for us – it’s one of our very core values. The Realdolmen acADDemICT Junior Track is a unique program for young graduates. The term acADDemICT refers to young graduates with a strong passion for ICT and who are interested in lifelong learning. During a qualitative three month training period, we will help you with the transition from the academic world to the real business world. Each year, Realdolmen invests in a select number of students showing great potential, who are guided by experienced coaches to a career as a professional ICT Consultant. Realdolmen focuses on employee centricity. Our career-growth opportunities are no empty promises. Would you, for example, like to evolve towards a job as a Team Lead or Architect? Or maybe, at a certain point in your career, you decide to make the transition - whether vertical or horizontal - to Functional Analyst, Test Engineer, Trainer, Agile Coach, or another ICT function. ARE YOU READY FOR THE NEXT STEP IN YOUR LIFE? YOU MUST BE THE JUNIOR CONSULTANT WE ARE LOOKING FOR!